How to Convert 4K Ultra HD Blu-rays to MKV? Resource > 4K Media > How to Convert 4K Ultra HD Blu-rays to MKV? Summary: How to convert 4K Ultra HD Blu-rays to MKV? 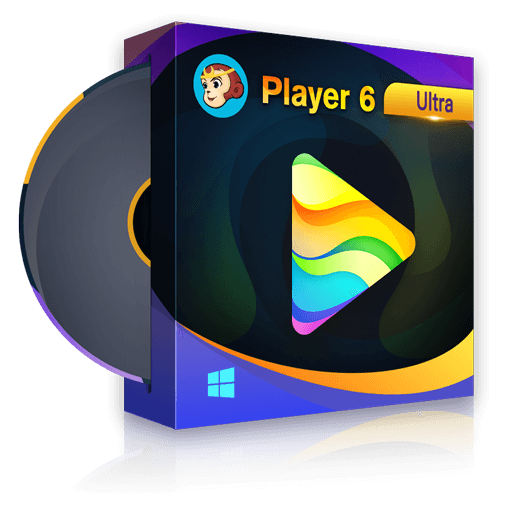 Here we recommend you a powerful 4K Ultra HD Blu-ray ripper and show you how to convert 4K Ultra HD Blu-rays to MKV easily and quickly. There’s currently a lot of buzz going around about 4K Ultra HD (UHD) Blu-rays and with good reason. If you’re a movie lover who settles for nothing less than the best quality both in terms of video and audio, this is the format you’re looking for. At the same time, there’s some confusion surrounding this term because hardware manufacturers and consumers alike often use 4K, UHD or 4K UHD to refer to the same thing. To avoid any confusion, simply remember that Ultra High Definition is the next step from Full High Definition (Full HD) and refers to resolutions greater than 1080p (1920 x 1080 pixels). With 4K resolution being greater than 1080p, it automatically falls into the UHD category, which also includes the next-generation 8K resolution. Simply saying UHD could technically refer to either 4K or 8K. Add to that the fact that there are two types of 4K resolution, one that’s 4,096 x 2160 px and is a cinema display standard and one that’s 3,840 x 2,160 px and is a consumer display standard. A lot of people still use the terms described above interchangeably but for the most part you’ll see 4K UHD being used when referring to consumer displays, though sometimes it’s just a matter of preference or convenience to use one of the other terms. Regardless of which term is used, this information will be useful because today we’re going to talk about how to convert a 4K UHD Blu-ray to the MKV format using DVDFab UHD Ripper. Now that you know how to tell the difference between the various formats it will be easier to figure out which of your Blu-ray discs can be converted using this process. So what exactly is DVDFab UHD Ripper? Just as its name suggests, this is a disc ripper that can convert UHD Blu-rays to MKV or M2TS formats that still preserve the HDR10 video quality. The software offers six different conversion profiles, all of which can be very helpful depending on the situation. For example, some of them are lossless formats that will be equal in quality to the original disc while others lose a little bit of their quality but shrink the disc to a much smaller size. DVDFab UHD Ripper is arguably the fastest and best 4K video converter out there. 1. Start by opening the 64-bit version of DVDFab 10 and then pick the Ripper module from the top menu. Now you can either insert the 4K UHD Blu-ray disc that you want to rip or you can use the “+” button to navigate to the location of the movie. 2. We mentioned earlier that the software can convert UHD Blu-ray to MKV using six different profiles so now it’s time to choose the one that’s most suitable to your situation. Go to the Profile Switcher located in the upper left corner to see the available options. In this particular scenario we’re going with MKV Passthrough but feel free to select the profile that works best for you. 3. After choosing a profile you can already go ahead and convert the UHD Blu-ray to MKV, however, we suggest taking the time to check out some of the customization and editing options. Some of the options will only be available when you pick a certain profile so keep that in mind. You can start off by changing the name of the output or by picking thetitles,audio track, subtitles, and chapters you want to rip. Things like audio tracks and subtitles may vary depending on the disc. 4. To the right of all these options that are a couple of buttons you can play with. Since we’re going with the high-quality MKV Passthrough, most of the settings have already been pre-selected for this particular profile and there’s not much we can change. However, if we switch to MKV.4K.H265.10bit you’ll notice we can modify things like Video Quality, Encoding Method, Sample Rate, Codec, and more. In this instance, we’re trying to convert the UHD Blu-ray to MKV while trying to preserve as much of the original quality as possible so we’re going to stick with Passthrough. There is the editor icon next to the Advanced Settings icon. You can edit (cut, trim, add watermark and more) the 4K videos in the UHD Blu-ray in your way. 5. Click the folder icon found in the lower left corner to pick the destination of the output file. Once you’re ready to convert the UHD Blu-ray to MKV simply press the green Start button and wait until the process is complete. Hopefully, you now have a better understanding of the different types of high-resolution formats and the differences between them. Certain companies intentionally use 4K instead of UHD because it sounds catchier even if it’s not entirely accurate. But even if you won’t remember everything we discussed at the beginning of this article at least now you know that it’s very easy and fast to convert a UHD Blu-ray to MKV if you have the right tool for the job. That tool is, of course, DVDFab UHD Ripper. 4K HDR videos truly are the absolute best in terms of quality and they’ve finally been making their way to many streaming platforms including YouTube. Here we will tell you something about YouTube HDR content. A good movie manager can help you manage and organize all your movies easily and can even give you an immersive viewing experience. Here is the best movie manager we recommend.